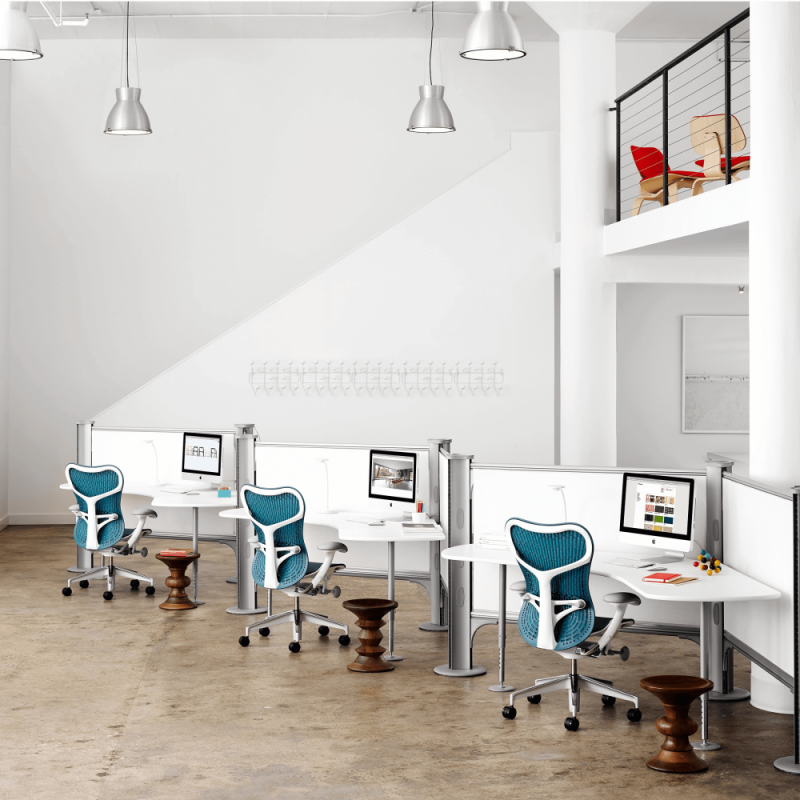 Benhar Office Interiors, a premier Herman Miller office furniture dealer in NYC, creates workspaces that help organizations achieve their strategic goals. We provide furnishing solutions from many leading brands that improve the experience of work for your team, increasing productivity and, ultimately, your company’s overall success. The workplace can be one of the most powerful tools for any organization looking to attract the talented people who will help drive business success. In today’s world of work, top talent is in high demand. With 40 percent of the workforce due to retire in the next four years, the battle for skilled employees will become increasingly fierce. Each project is unique, so Benhar Office Interiors provides constant and consistent support throughout your project to ensure it is completed seamlessly. Our job is to help you procure your office furniture based on the vision, budget and timeline of your unique project. "We Furnish Your Ideas".